I would like to inform you that a new maintenance update of ZoomPanel library has been published. Prevented slight content movement that occurred when a user clicked on ZoomPanel (the movement was noticeable when the content was zoomed in). Added UseLowQualityBitmapScalingModeWhenAnimating property that allows using LowQuality BitmapScalingMode during animation to improve the performance of animations (for very big bitmaps or for animations on slow computers). I am happy to say that a new version of ZoomPanel control is available. After some straggling to fix some problems with using ViewboxLimits, FitToHeight and FitToWidth I have decided to rewrite part of the code again. Hopefully this time the ZoomPanel should work regardless of the ViewboxLimits, content size and available ZoomPanel size. There are no new features in this version. I think that ZoomPanel already has many great features and is a complete solution for any possible scenario that needs zooming and panning. As always the existing customers can download the new version from their User Account page. Others can try the new version with downloaded the new evaluation version. A new maintenance release for Ab3d.PowerToys and ZoomPanel is available. It fixes an issue with new designer in Visual Studio 2012. 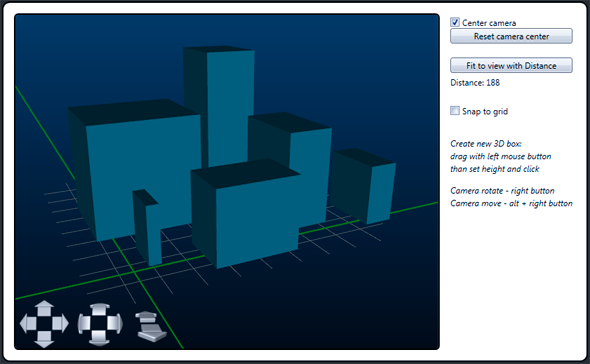 This was most noticeable when a camera from Ab3d.PowerToys was not manually connected to Viewport3D. In that case the code in the camera automatically checks the objects hierarchy and tries to find the Viewport3D automatically. But because the designer in VS 2012 is changed, the code did not find the Viewport3D and therefore the preview of 3D scene in the designer did not show the scene from the specified position. A new version of ZoomPanel library also fixes an issue where a "Reference not set to an object" exception was thrown when ZoomPanelMiniMap was added to controls tree but was visible and then the user changed zoom mode on the ZoomController. The new installer has been improved to work better on 64 bit windows. Now the products are no longer installed under “Program Files (x86)” folder, but under “Program Files”. All the products are built with “Any CPU” setting and therefore do not need to be in the folder where all the “old stuff” is. Note that if you were referencing our products from the x86 folder, you will need to update the path to our products. All the products now also contain assemblies that are built on .Net 4.0 Client Profile framework. When building .Net 4.0 applications, you can now reference native .Net 4 assemblies. Before you had to reference original .Net 3.0 (Ab3d.Reader3ds, Ab2d.ReaderSvg, Ab2d.ReaderWmf or ZoomPanel) or .Net 3.5 SP1 (Ab3d.PowerToys) assemblies. This was not a problem because the 4.0 CLR runs the assemblies on previous target frameworks natively inside 4.0 CLR (without running them in some kind of virtual machine). So it was already possible to use our libraries on machines where only .Net 4.0 is installed. Anyway time goes on and now almost all new applications are built on 4.0 so I decided to prepare native builds for that framework. Of course the original 3.0 and 3.5 assemblies are still available. Original assemblies are inside bin folder as before. The new assemblies can be found inside bin\.Net 4 folder. Because all our products except Ab2d.ReaderWmf are using AllowPartiallyTrustedCallers assembly attribute, I had to take a closer look at the security critical sections of the code and add some security related attributes on some methods. This made the code .Net 4.0 compliant. Note that the Viewer3ds, ViewerSvg and Paste2Xaml applications were not ported to .Net 4.0 and still requires older framework to run (older applications cannot run inside 4.0 CLR - only assemblies can be used inside 4.0 applications). As mentioned before some of the products were also improved. ZoomPanel library got improved ZoomPanelMiniMap control. Here controlling ZoomPanel with moving rectangle around was improved (before movements were slow). In the previous version it could happen that when a content of ZoomPanel was changed from a big to a much smaller content, than the new image in ZoomPanelMiniMap was too small. This is fixed now. Ab3d.Reader3ds library also got a few improvements. Most of the work there was done to improve reading of broken 3ds files. Because 3ds file is very old and very commonly used, there are many applications out there that can export to that file format. Unfortunately not all of them create valid 3ds files. I got some of such files. Most of them were so screwed that it was not possible to import them into 3D Studio Max (invalid file format error was shown). Despite that there were still some valid data inside those files. And the new version tries to read as much from them as possible. In case when a broken 3ds file is read with Reader3ds, you will still get FileFormatException (when reading with default settings). But now you can catch the exception. Than you can warn the user about problematic file and if the user wants to read the file anyway, you can set the new TryToReadBrokenFiles property on Reader3ds to true and read the file again. You can also have that property always true and just check the IsBroken property after reading 3ds file. Both those options are also used in the new version of Viewer3ds. - Improved LinesUpdater performance and removed possible memory leaks. - Added Reset method to LinesUpdater that takes Viewport3D as parameter to reset (remove all lines) only from specific Viewport3D. 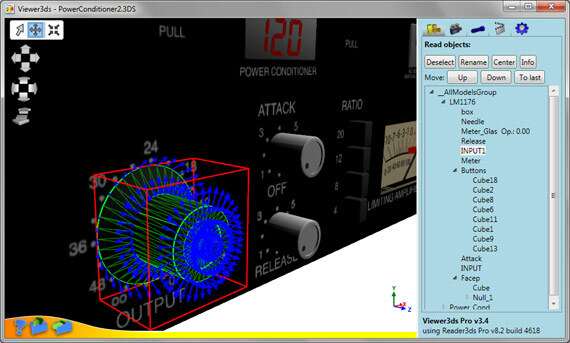 - Added TubeMesh3D, TubeVisual3D and TubeUIElement3D. 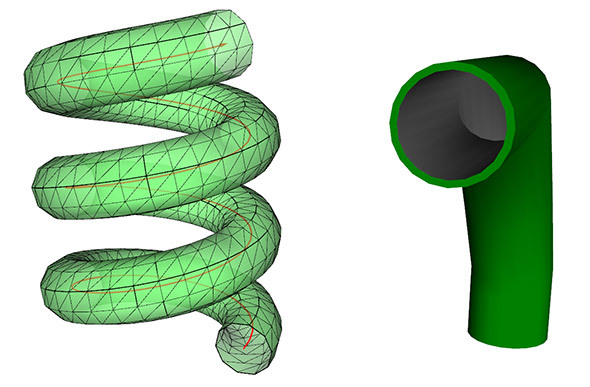 - Added support to very easily create 3D curves: added Ab3d.Utilities.BezierCurve and Ab3d.Utilities.BSpline classes; also added CreateBSpline3D and CreateNURBSCurve3D to Line3DFactory. - Added MouseWheel event to EventManager3D – now you can subscribe to MouseWheel event on any Model3D object. Ab3d.ReaderSvg and Ab2d.ReaderWmf libraries did not get any new features of fixes. But they also got new versions (with same major and minor version but increased build version) because of new .Net 4.0 assemblies and small changes that were needed in the code to make the code 4.0 compliant.